The full schedule of events was published! I know what my choices are for the TCM Classic Film Festival! 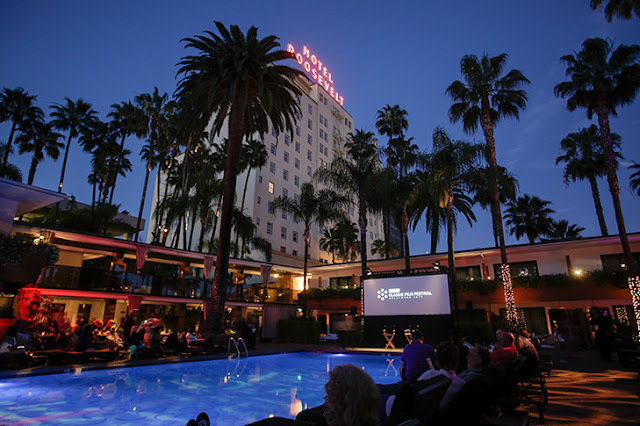 And, on the first night, I'll be seated around the pool at The Hotel Roosevelt. 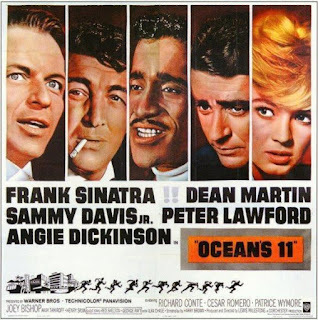 Watching a special screening of the original Ocean's 11, hosted by Danny's ever-loving, not-quite-ex herself, Angie Dickinson. I've got my ticket already! Planning for Ocean's 11, and texting back and forth with Betty from my movie group (who's doing the poolside thing), were really the only good thing that happened today. It was a blah day at the office, a little too much stress and too little actual work. Then a condo board meeting. More discussion of possible building sale. More talk about the possible bed bug issue. Talk ... talk ... talk ... No resolution. Lots of stress. All three of us on the board -- me, John and Brian -- were overtired and in a bad mood. But Angie. I'm looking forward to hanging with Angie (and Betty, and dozens more of our classic loving tribe) by the pool. I bet ol' Angie's got some juicy stories!